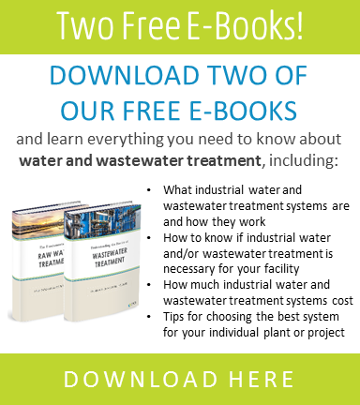 An industrial company that produces wastewater as a byproduct of its process will usually require some type of wastewater treatment system to help it avoid harming the environment, human health, and the facility’s process if the water is being reused. The water treatment system will also help the facility evade incurring heavy fines and possible legal action if wastewater is being improperly discharged into a publicly owned treatment works (POTW) or to the environment under a National Pollutant Discharge Elimination System (NPDES permit). In some cases, local and federal regulations will require ZLD, or you might be looking for a solution that will help your facility solve water scarcity and/or astronomical discharge rates. But ZLD is usually a last resort and something your facility will turn to when there are no other feasible options. If your facility is pursuing ZLD, how do you choose the best ZLD treatment system for your plant? How do the wastewater characterizations of your facility determine your ideal ZLD treatment system? One of the largest factors that will determine the best ZLD treatment system for a facility is the equipment that will go into the actual makeup of the system, and the technologies used will depend on the contaminants (and their respective volumes) your facility generates. As mentioned in a previous blog article about the cost of ZLD, the specific technologies that will make up a facility’s treatment system will vary greatly depending on (1.) the volume of dissolved material present in the waste, (2.) the system’s required flow rate, and (3.) what specific contaminants are present. The degree to which these steps are implemented in your specific ZLD system will vary depending on your facility’s individual needs, as do any add-ons that will account for your specific industry and contaminations. For example, if your facility produces waste that contains calcium, magnesium, silica, or other colloidal and/or suspended solids, your ZLD system will likely need to include ultrafiltration or chemical treatment to avoid the reverse osmosis membranes—an integral part of the ZLD process—from fouling. Also, because the ZLD process often includes an element of heat, it’s important to manage the volume of certain scale-causing contaminants and pH to avoid damage to your ZLD equipment. Because these systems are largely custom and extremely complex, it is advisable important to work with your water treatment specialist to develop help you develop the best solution. A wastewater treatability study is a study or test that will determine how the wastewater can be treated for your process. 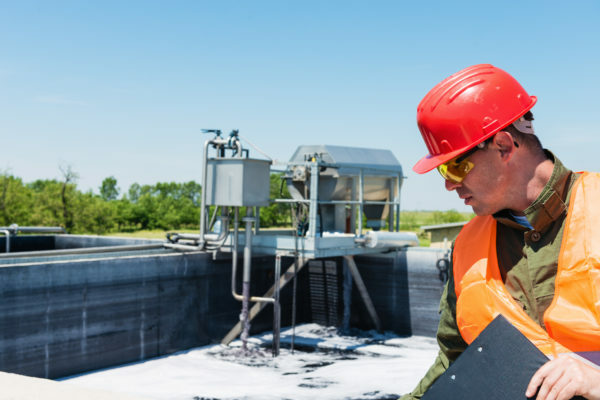 If the study is done correctly, it will clearly identify the contaminants present in your wastewater stream, helping ensure the proper treatment solutions are considered and implemented in your wastewater treatment system. This step is critically important when choosing the best ZLD treatment system for your plant. After having a roadmap of maybe two or three technology platforms that meet your base and operating cost, running an efficient treatability test will help validate the assumptions you’ve made about possible contaminations and solutions to remove them. This streamlines to process and takes out any guesswork, ensuring your facility is getting the best possible solution for your unique situation. Also keep in mind that even though the study might seem thorough on paper, there’s nothing better than running pilot testing in the field to validate the treatment/technology assumptions, optimize design, because during this phase, other problems can arise and be found prior to choosing the components of your system, which can help save you from any effluent violations down the line. Choosing the best ZLD treatment system for your plant is a very complex process and requires a substantial amount of effort and time to do it properly. Now that you know the most important aspects to focus on, make sure you choose to work with an engineering company and/or water treatment specialist that can help you sort through all these requirements in order to choose the best system possible. Knowing the characterization of contaminants in your wastewater and the results of a thorough treatability study and pilot test will help steer you in the right direction. SAMCO has over 40 years’ experience custom-designing and manufacturing wastewater treatment systems, so please feel free to reach out to us with your questions. For more information or to get in touch, contact us here. You can also visit our website to set up a call with an engineer or request a quote. We can walk you through the steps for developing the proper solution and realistic cost for your ZLD treatment system needs.